Willmott Dixon’s development division Regen has formed a joint venture with regeneration body Poplar HARCA for a £250m redevelopment of the Aberfeldy estate in the London Borough of Tower Hamlets. 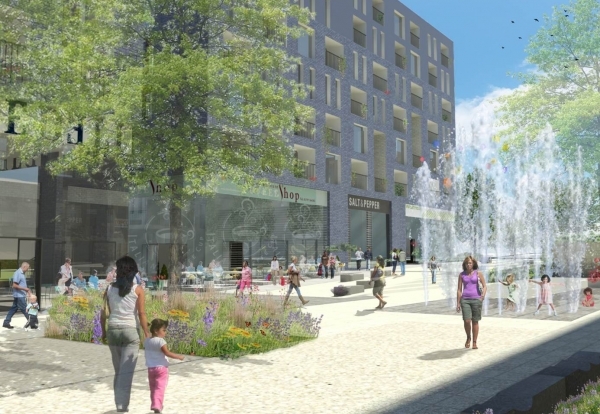 Renewal of the seven acre estate will provide 1,176 homes, shops, healthcare and community facilities over 12 years, with work divided into six phases. Outline planning consent has now been granted for the mixed-use scheme, with detailed planning approval also given to start the £40m phase one to build 342 new homes, together with retail space, at the eastern end of Aberfeldy. Willmott Dixon will carry-out construction work which will create over 1,000 construction jobs during the estate’s renewal between now and 2024. The scheme is the largest development project undertaken by Regen. CEO Andrew Telfer said: “This is a mammoth undertaking that will provide an exciting future for Aberfeldy estate’s residents as well as enticing a new generation of people looking to benefit from the region’s Olympic legacy and its quick links into Docklands and the City.